California water warsCourtesy Los Angeles Every year, my friends in California give me a Mono Lake calendar. I will be there next week to see for myself how the Lake is doing. Mono Lake is recovering after the California Water Wars. Water diversion, speculation, and fighting has been going on in California for more than 100 years. About 110 years ago some of the visionary leaders in Los Angeles decided to dig canals all the way across the state to the Sierra Nevada Mountain Range and divert and carry its water to their growing city. Because the waters were diverted, the water level in Mono Lake started to fall, and the Mono Lake ecosystem became severely impacted. In 1978, the Mono Lake Committee was formed to protect Mono Lake. The Committee (and the National Audubon Society) sued LADWP in 1979, arguing that the diversions violated the public trust doctrine, which states that navigable bodies of water must be managed for the benefit of all people. The litigation reached the California Supreme Court by 1983, which ruled in favor of the Committee. 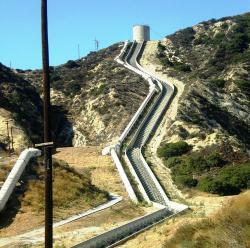 Further litigation was initiated in 1984, which claimed that LADWP did not comply with the state fishery protection laws. 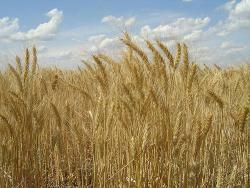 Perennial grainCourtesy RaeA In a paper titled Increased Food and Ecosystem Security via Perennial Grains scientist state that perennial grains could be available in two decades and urge that research into perennial grains be accelerated by putting more personnel, land, and technology into breeding programs. Perennial grains have roots that reach 10 feet or deeper, reduce erosion, build soil, need less herbicide, and best of all, survive over winter so there is no need to plow, cultivate, or replant. I was just sent this link with some amazing photos of the BP oil spill. They certainly provide a vibrant visual sense of the disaster. It's not every day that I agree with the NYTimes' John Tierney. But today, I do. He offers up seven rules for a new breed of environmentalist: the "Turq." "No, that’s not a misspelling. The word is derived from Turquoise, which is Stewart Brand’s term for a new breed of environmentalist combining traditional green with a shade of blue, as in blue-sky open-minded thinking. A Turq, he hopes, will be an environmentalist guided by science, not nostalgia or technophobia." Check out the rules. Are you a Turq? Does any of Tierney's advice surprise you? Jon Foley, of the University of Minnesota's Institute on the Environment, has similar advice. "There are no silver bullets," he says. "But there is silver buckshot." Human activities, rather than nature, are now the driving force of change on the planet. And experts say that there will be nine billion of us on the planet by 2050. Making sure that we all have the chance to survive and thrive will require a lot of innovation, and a lot of blue-sky thinking. Who's up for the challenge? Pompeii: The Pompeia at Saratoga Springs is a restored version of the House of Pansa, which was destroyed by the eruption of Vesuvius in AD 79. This photo is from 1889!Courtesy Cornell University Library My wife often relates to friends that the Pompeii exhibit at the Science Museum Of Minnesota was her favorite. Buried in A.D. 79 by a volcano's eruption, the secrets of Pompeii remained under 20 ft of ash until discovered in 1748. Since then about two-thirds of the city has been exposed. What many people think about when you ask them about Pompeii, is a city frozen in time when it was suddenly buried. "The ground trembled for weeks beforehand. Only the infirm, the stupid and the optimists stayed." Rather than a city frozen in time, as scholars have described Pompeii, it was an emptied disaster scene, goods removed and doors locked, when Vesuvius covered the town with ash. What impressed me about the the Pompeii exhibit was the architecture, the interior designs, and the art objects. Pompeii was where the richest, most powerful Roman elite set up summer homes which became like stage creations, re-creating Greek art and Macedonian palaces to show off their status among their peers. What remains to be uncovered? Still buried under Vesuvius' cooled lava are parts of both Pompeii and Herculaneum; Oplontis, a villa that might have belonged to the emperor Nero's wife; and Stabiae, a site that Howe says is "the largest concentration of excellently preserved enormous Roman villas in the entire Mediterranean world." I think it fortunate that maybe some of the best might be uncovered last. Once exposed, the "ruins quickly become ruined". Weather, weeds, tourists, and looters take a drastic tole upon the beautiful artifacts. The Italian government last year declared a state of emergency to speed preservation efforts at the 109-acre ruin. Rather than starting new excavations at Pompeii and nearby sites, Pompeii superintendent, Pietro Giovanni Guzzo, has concentrated on conservation. ... for all those who work on Pompeii and the other archaeological sites of the Bay of Naples. Here we share news and information about Pompeii and the other sites, and we discuss current research. Here we share news and information about Pompeii and the other sites, and we discuss current research. Tired of being told over and over again to recycle or to buy compact fluorescent bulbs? Conserving energy and reducing waste is important, but it's not always the most exciting way to help the planet. Or is it...? This Earth Day you can combat your boredom and reduce your carbon footprint with one of these cool Do-It-Yourself projects from the website Instructables. Some are harder than others, but all of them are possible with a little time and elbow grease. -Plant a garden...no green space required! 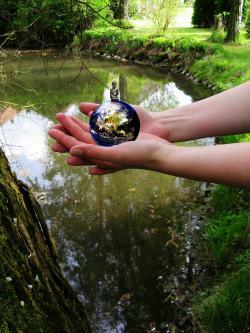 Got other Earth Day project ideas? Share them here! Or better yet, upload your own instructions to the Instructables website and help other people have a fun and functional Earth Day everyday! White-Tails in the CItyCourtesy mickipicki For wildlife biologists, most concerns about animal populations revolve around unnatural declines. Due to things like human development, habitat loss, climate change, pollutants and diseases that make animals sick, many wildlife populations are disappearing at an alarming rate. Some species, however, are undergoing steep increases in population, causing headaches for humans. The recent crash of US Airways flight 1549 due to a bird strike is one extreme example. Not surprisingly, most of the perceived problems resulting from animal population growth are coming from urban and suburban areas. Scientists are looking for ways to control the booming populations of deer, geese, pigeons and other species that have adapted to the changes humans have made to the environment. Since hunting or trapping is offensive to so many people, biologists are looking for new solutions and think that they may have found one in wildlife birth control. 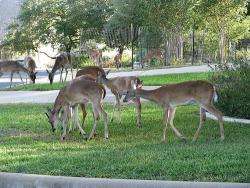 At the National Wildlife Research Center in Fort Collins, Colorado, biologists have developed a one-a-day contraceptive pill for geese and pigeons, and are working on a one-time injectable contraceptive for white-tailed deer. These wildlife birth control methods work on the same principal as human birth control, disrupting the animal's reproductive cycle or preventing fertilization from occurring. The whole issue of wildlife population control brings up an interesting paradox. People love animals and nature, or at least, they love the idea of animals and nature as portrayed by the folks at Disney. People also love their yards and gardens, their pets and cars and airplanes, all of which provide ample opportunity for conflict with our furry and feathered friends. It's worth remembering that many of the animals we consider pests today were once hunted to near extinction, and that it was the efforts of conservation biologists, along with hunters and fisherpeople, that helped to bring back many of these iconic species. So, is birth control for Bambi really the answer? I'm not sure, though I do have lots of questions, including whether this kind of animal birth control will contribute to the already harmful effects that hormones found in human birth control are having on the environment. Seafood watchCourtesy Monterey Bay AquariumI ran into some folks from the Monterey Bay Aquarium today and learned about their Seafood Watch program - its impressive, and helpful. Their website contains the most current information on sustainable seafood choices available in different regions of the U.S. The guides can both be viewed on line and also can be downloaded in a pocket-size version. 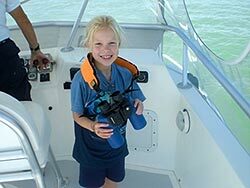 The site contains a lot of other useful information on how you can be an advocate for ocean conservation, as well as background on what the conservation issues are that face our oceans. 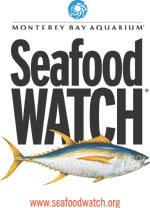 Check out the website and the seafood watch guides - its interesting and a useful way to stay informed on how to make educated choices.